RSW- Artwork page, "Evening Tranquil Hour"
The stream at RSW's Redgate Studio is one of the most frequently painted locations for that studio. 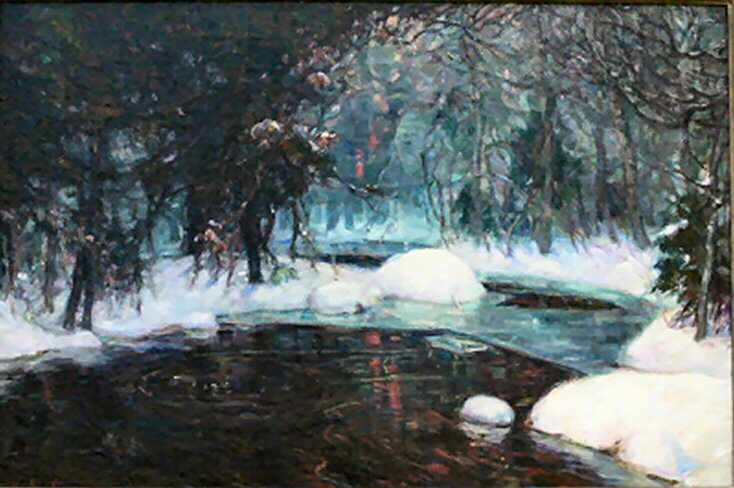 See also the Brooks, Ponds, Rivers Gallery for related pieces. See also the Woods Gallery for related pieces. The location of this painting is currently unknown but the above image has been furnished by the owner for cataloging purposes of this website only. Provenance is not known but this oil painting is known to be in excellent condition.